When Tesla Motors announced fourth quarter sales figures for 2015, many were surprised to see only 208 of the brand new Model X all-electric crossovers were delivered to customers. The number seems low, but Tesla promises the Model X release is a matter of quality, not quantity. 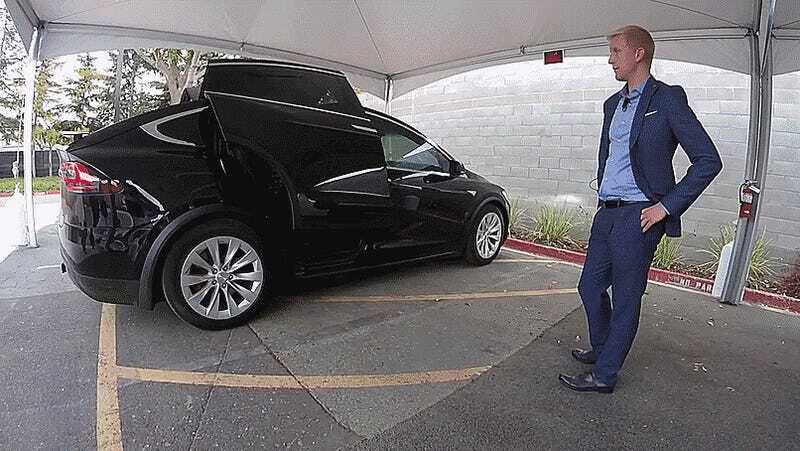 In the final quarter of 2015, Tesla Motors produced 507 new Model X crossovers, but only delivered 208 to customers. The company isn’t worried, as the focus for the Model X launch is set on solving initial issues and avoiding massive setbacks before ramping up production on the new model — which is a lesson learned from the early deliveries of the Model S back in 2012, frustrating new owners with a wide range of quality issues. The slow start allows Tesla to better manage consumer perception, avoiding massive updates or recalls and working through the early issues before rolling out and filling orders. Tesla will be increasing Model X production exponentially moving forward, claiming the production of 238 Model X-es per week right at the close of 2015. Production of both the Model X and the steady-selling Model S all come from the same production facility, which has had to adapt to Tesla’s expanding model range to handle sales projections. The Model S, which has been on sale in some form since 2012, saw deliveries in the fourth quarter grow by 75% between 2014 and 2015, giving the company confidence in the growth of the Model X moving forward. Overall Tesla had a good year, delivering 50,580 vehicles total in 2015, fulfilling Elon Musk’s projections on delivering between 50,000 and 52,000 for 2015, which we went over earlier today. According to BloombergBusiness, Stocks slid 6.9% due to deliveries, including the Model X, not quite excelling at initial industry predictions. The launch of the Model X and its initial consumer reaction will be the precedent for Tesla moving forward, with a promised launch of the smaller, more affordable Model 3 looming on the horizon in 2017 — with a lofty company goal of delivering 500,000 vehicles annually by 2020. Tesla wants to work out as many kinks as possible now as the brand, the model range, and the deliveries all continue to grow internationally. Big projections. Quality control. Real problems. Is there any doubt Tesla is a real car company now? All eyes will be on the Model X and the reveal of the Model 3 to see if Tesla can keep pulling it off.